Following two scandals in as many weeks and being stripped of his WBO middleweight title, Billy Joe Saunders is set for a return fight on December 22nd. Saunders was added on Wednesday to the December 22nd Carl Frampton-Josh Warrington card in his hometown of Manchester. Standing across from the undefeated former champion will be journeyman Zoltan Sera. Saunders went through a mess of problems in October of this year, first was a scandal surrounding a video Saunders posted to social media where he and a friend teased and forced a homeless woman to commit acts of violence for illegal drugs. Following that and being chastised by the British Boxing Board of Control (BBBoC), Saunders would end up testing positive for the stimulant oxilofrine by VADA, prior to his scheduled October 20th title defense against Demetrius Andrade. While the BBBoC’s official drug-testing partner UK Anti-Doping backed Saunders up claiming the substance is not banned when out of competition, the Massachusetts State Athletic Commission would side with VADA, and deny Saunders’ application to fight Andrade at TD Garden in Boston. Saunders would remain unpunished by the BBBoC, but stripped of his title by the WBO and suspended from their rankings for six months. Andrade, the mandatory challenger would win the vacant title against Walter Kautondokwa instead. 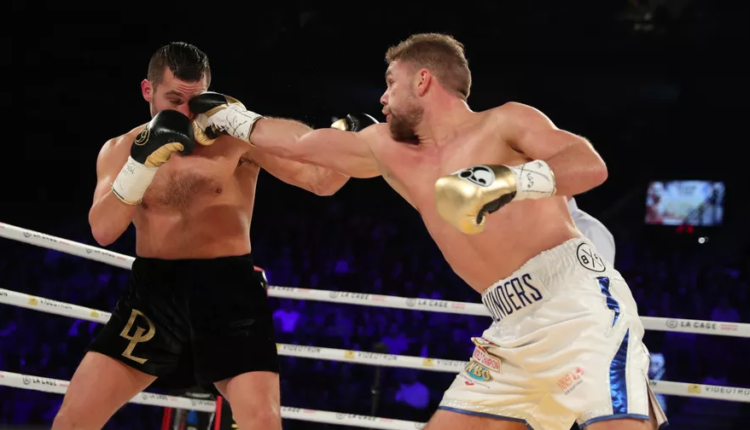 This will be Saunders first fight in over a year, as he cruised to a unanimous decision in over David Lemieux in Lemieux’s home province of Quebec, Canada.